Our BIM files, created by the leading experts in the industry, are available for free on the 2 major BIM platforms in the UK. Our aim is to simplify your design process by providing you with 3D files in the formats you need on the platforms you use. 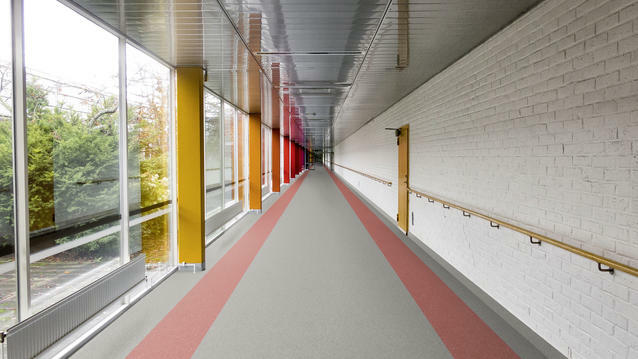 Compact homogeneous vinyl floorings are tough and ultra-durable solutions for heavy and very heavy traffic areas, especially recommended for applications in healthcare and education for their resistance and ease of cleaning. Vinyl floors designed to withstand heavy traffic, lower maintenance costs and prevent accidents by ensuring overall safety for areas that present a risk of slips and falls. Available in both acoustic and compact versions, heterogeneous vinyl floors offer creative solutions for commercial and residential use. 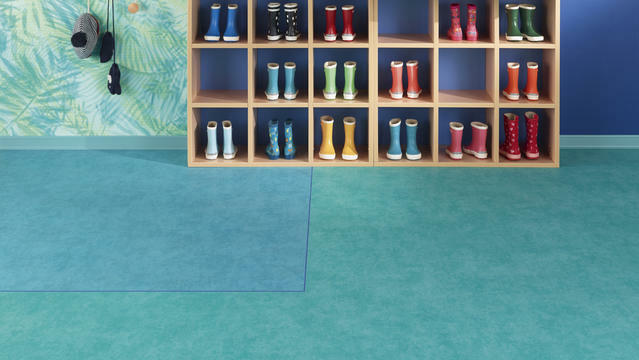 Tarkett heterogeneous vinyl floors feature a patented surface treatment, TopClean XP, for extreme durability and easy maintenance. Produced in both tile and plank formats across a range of patterns, colours and styles, luxury vinyl tiles (LVT) offer endless layout possibilities thanks to their modular format. One of the most natural and sustainable flooring solutions on the market, Tarkett linoleum has been appreciated for its natural beauty, comfort and durability for over 150 years. Vinyl wallcoverings protect walls in heavy traffic areas against impacts, shocks, scratches and stains. Flexible and easy-to-install, they help to lower repair and maintenance costs by reducing damage to walls over the long-term. An integrated solution of flooring, wallcoverings, borders and a full range of accessories including drains, threshold strips, sleeves etc. for a perfect waterproof and hygienic finish. 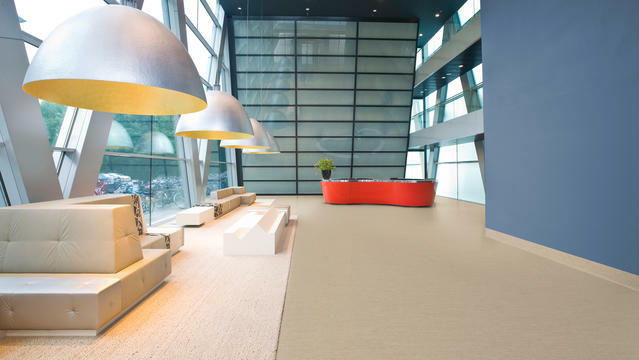 Homogeneous vinyl floorings are tough and ultra-durable solutions for heavy and very heavy traffic areas, especially recommended for applications in healthcare and education for their resistance and ease of cleaning. Tarkett static dissipative and static conductive flooring offers a flexible, high-performance solution to keep sensitive environments such as operating theatres, computer rooms and electronics safe. If you did not find the files for the product you were looking for, please do not hesitate to contact us. Stand out from the crowd with our Floorcraft Design Service: a comprehensive solution for personalised floor designs that caters to your specific needs.